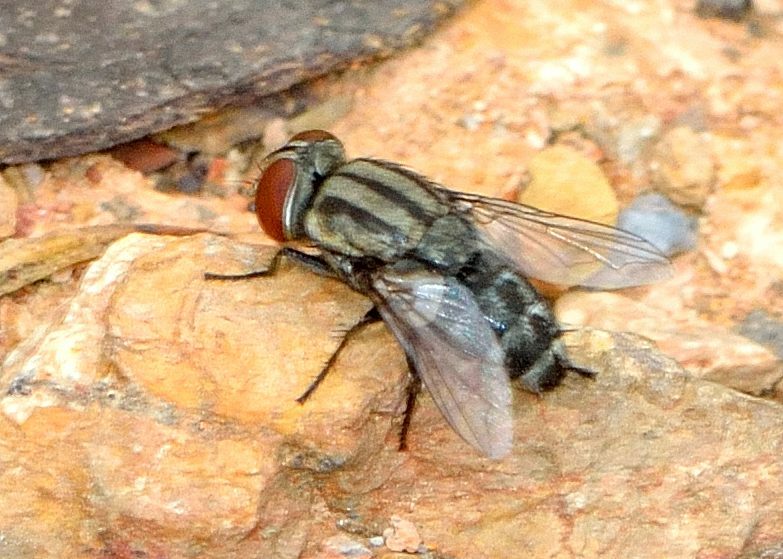 Small Grey Flesh Fly II - ? Amobia sp. 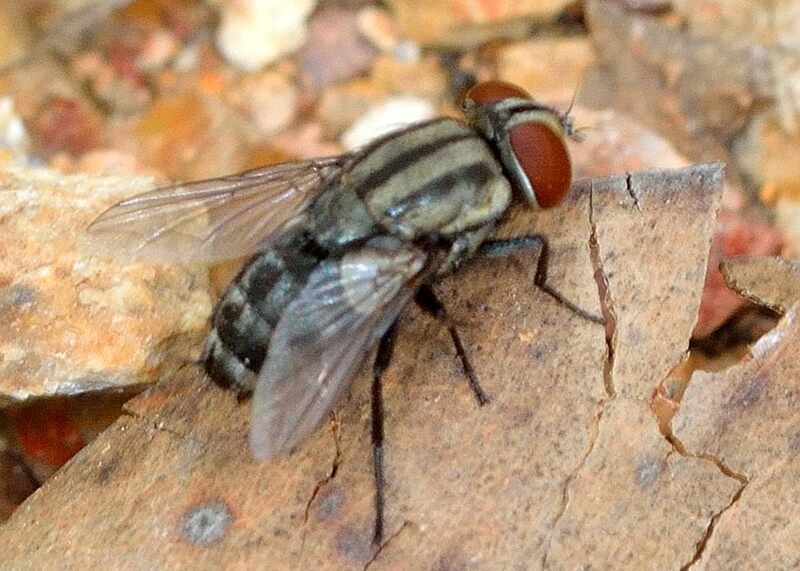 This page contains pictures and information about Small Grey Flesh Flies that we found in the Brisbane area, Queensland, Australia. 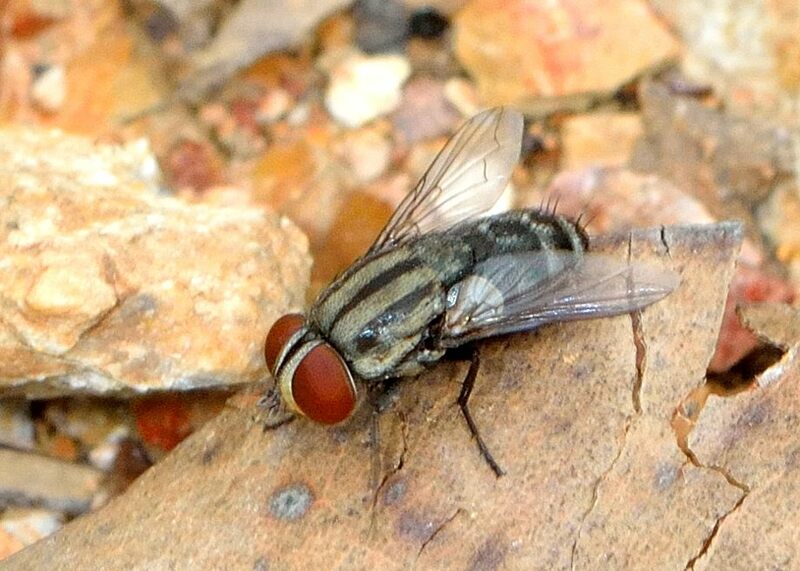 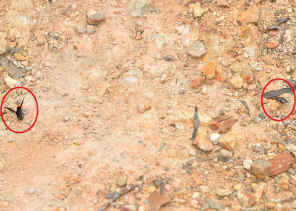 On Dec 2012 in Anstead Forest, we saw this flesh fly following a Potter Wasp. When the wasp flied, it flied. 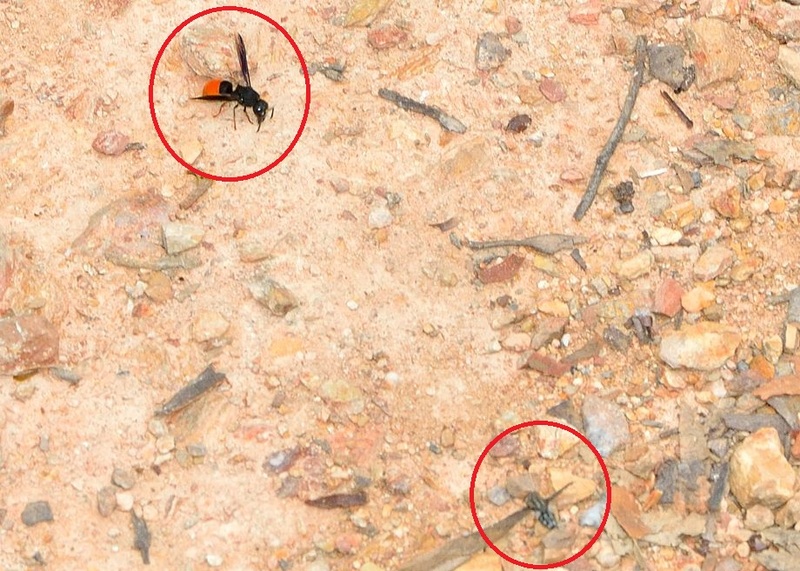 When the wasp rested on ground, the fly rested on ground. 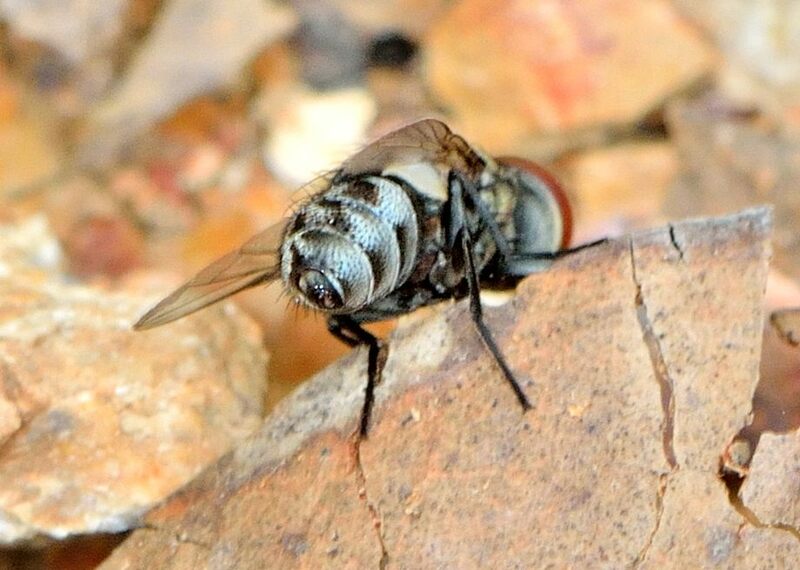 The fly was always watching the wasp at about half a meter away. From reference information, this flesh fly lays egg in the nest of these wasps. 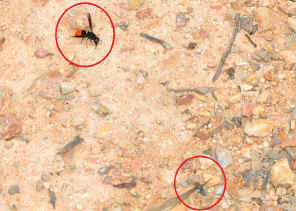 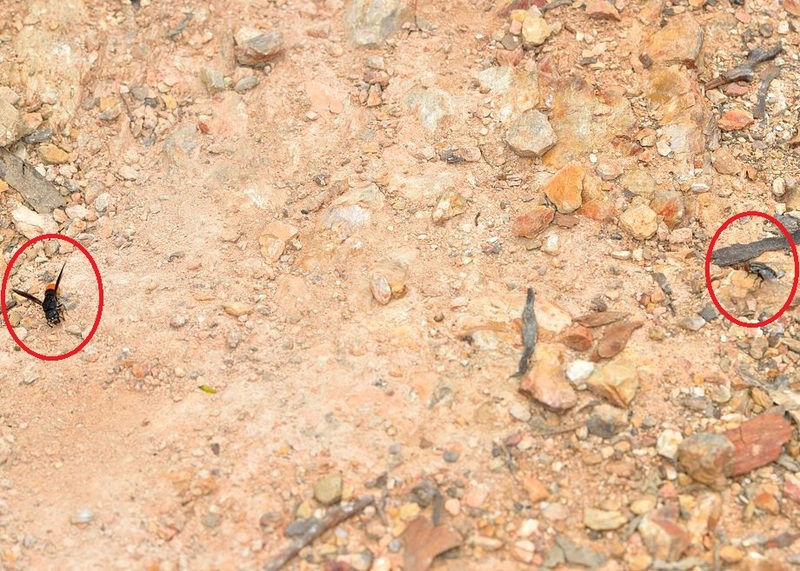 The larvae eat the food intended for the wasp larvae .